Basic electronic components such as resistors, capacitors, diodes and transistors are widely used in any electronic devices and gadgets. 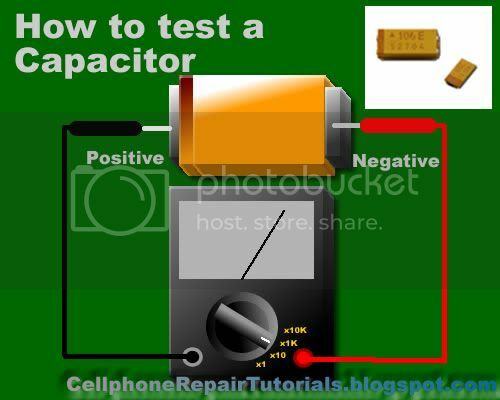 Knowing how to conduct a test on this components using a multimeter would give you an idea on how to trouble shoot and repair any defective cellphones or electronic equipments at home. Below are some basic D.I.Y. 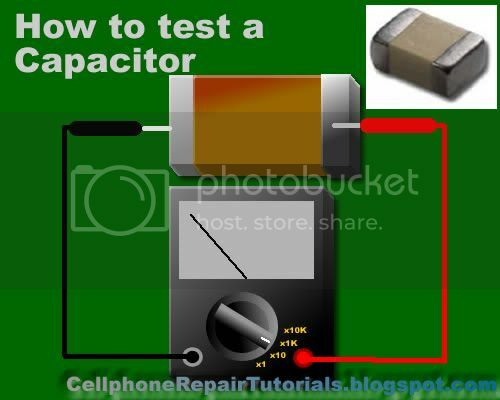 regarding proper testing of this components using a multimeter. Read the indicated code value indicated in Schematic Diagram then select the Ohm-scale within but not way below the indicated value. A resistor is good if its resistance is close to the indicated value.Tolerance should be considered with the ohmmeter reading. 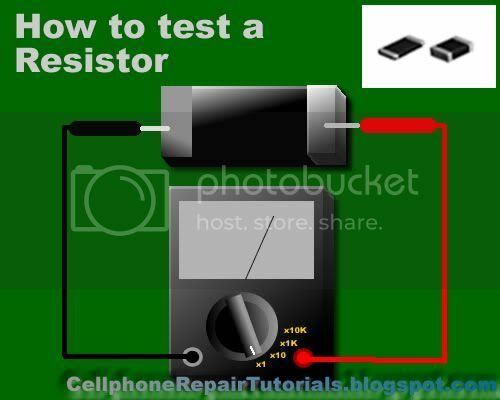 While, no resistance reading at all on the ohmmeter scale settings means that the resistor is open. 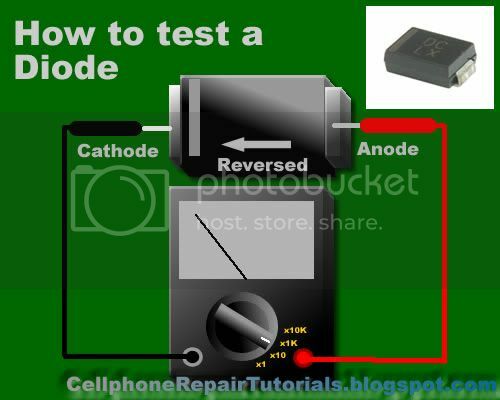 A zero resistance reading on all ohmmeter scale settings means that the resistor is shorted. negative probe to the anode of the diode. A good indication in the first procedure will show the meter deflected very little or may not deflect at all. And in the second procedure, the meter will deflect towards zero.The actual resistance reading is the forward resistance of the diode. A defective indication shows that the meter won't deflect at all even when the probes are reversed. Or the meter deflects at the same time or almost the same resistance reading for both steps. Bipolar transistors are usually checked out of a circuit by means of an ohmmeter. 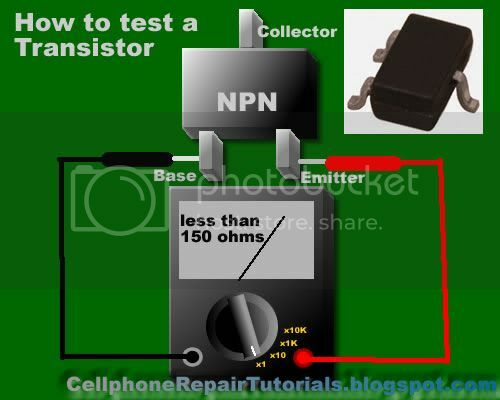 When it is desired to check for the resistance across the transistor emitter and collector, NPN or PNP, ohmmeter probes may be connected either way. A good transistor will show above a reading above 1000 ohm. How to determine if it is NPN or PNP transistor? To determine the correct terminal of the transistors, set the range selector to x 1 or 10 ohm.Connect the positive probe to the emitter and the negative probe to the base of the transistor. Note the reading interchange the connection of the probes to the leads of the transistor. Some defective indications of transistors: Resistance between any pair of the terminals is less than 10 ohms, means that the transistor is shorted. Resistance between base and emitter or base collector for both the forward and reverse application of ohmmeter probes is infinity (meter needle don't deflect), means that the transistor is open. Transistors overheats (except power transistors) during normal operating condition means that the transistor is shorted. 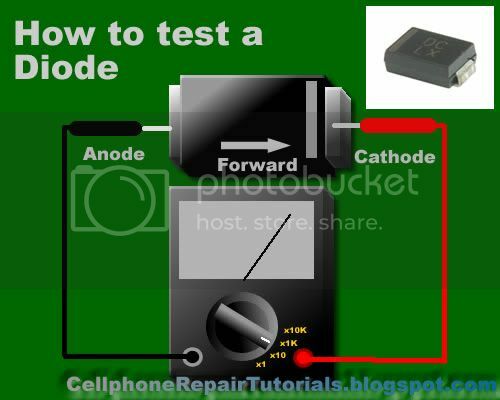 Set the Muti-meter to x1 connect the positive probe to cathode and the negative probe to anode. 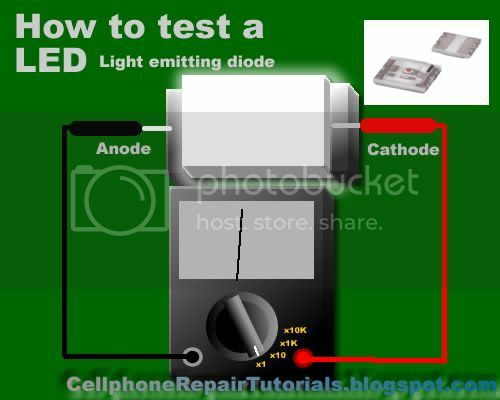 The good and working LED will then light up or glow, a busted LED will not. How to Check a Coil? 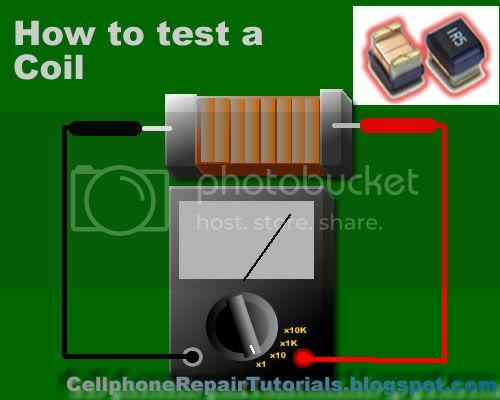 Set the multimeter to X1 a good and working coil have a reading approximately point to zero ohms, without any reading means the coil is open or busted. 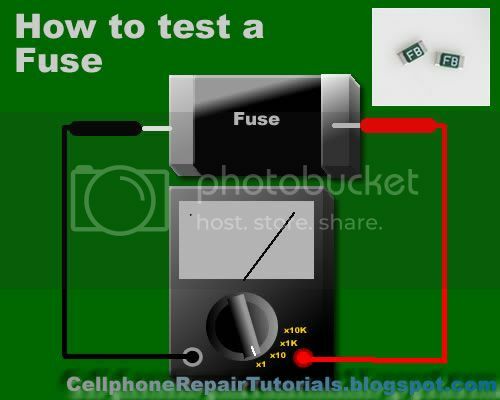 How to Check a Fuse? A blown SMD Fuse is not visible to our naked eye, just set the multi-meter to x1 and put both test probe to both end side of the fuse. A full reading here to zero or continuity check is full. without any reading means the fuse is already busted. How to Check IC chips (Integrated Circuits)? IC Chips is hard to determine faulty by using only a multi-meter, some advance equipment like the one that the manufacturer used during their productions. However; you can determine a faulty chips by some few experiences when it comes to troubleshooting, One techniques is that by comparing two same components from one another. like for example; if one chips is suspected to be faulty, then by replacing it with a good and working same chips, you can now determine it if the said chips got a problem. It is a trial and error method at first; but as long as your experience and knowledge skills increases, you can determine it more quickly and accurately.